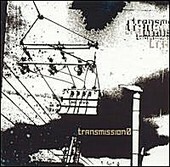 Transmission 0 hail from the Netherlands, and the band's vicious barrage on your ears is complemented by the band's stellar musicianship and captivating arrangements, which switch from lush to crush with power and poise. The entire 10-track affair is built with both metallic might and dynamic impact in mind, making for an engaging album whose scope broadens from electronic to visceral to ethereal with grace and ease. From Godflesh to Opeth to Poison the Well, Transmission 0 shifts its style without losing face or purpose, making 0 that much more appealing.